When running a warehouse or similar storage facility, two of your most important goals are protecting the product and protecting your workforce. Items on shelves and on palette racks need safety guards to keep everything safe – and sometimes simple fabric nets just aren’t the best solution. They may be cheap, but their utility value is limited, and can endanger both product and people – particularly when heavy items are involved. 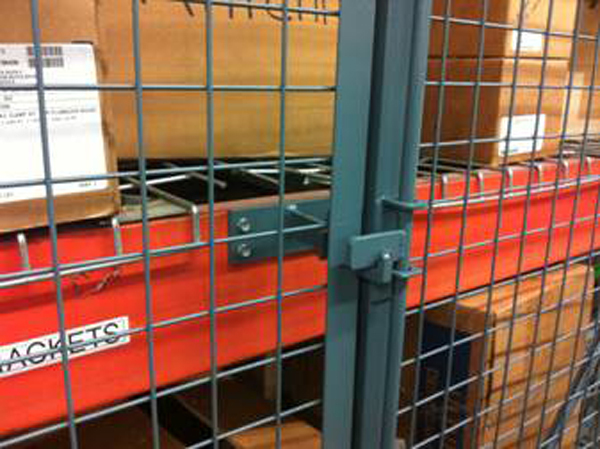 In many cases, woven wire mesh is a superior solution for keeping your warehouse shelves safe. For not much extra money, it offers more benefits and more utility value. Woven wire mesh is made from hardened steel, aluminum, and other metals known for their high strength properties. This affords substantially more protection than any fabric mesh! This can make all the difference, if a rack or shelf tips over. Wire mesh can be trusted to keep items contained. Another example would be forklift incidents. If a forklift snags a fabric mesh, it’s almost certainly going to rip the fabric like tissue paper. That’s not the case with metal mesh. Another major benefit to wire mesh is that it can be easily turned into doors and other access panels. 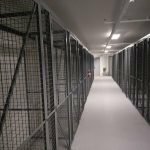 A mesh cage offers all the benefits of a fabric net and a storage locker or closet. Locked gates can easily be built into the overall framework, making it simple to control access to whatever is inside. 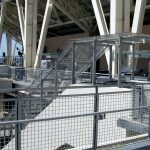 If you are dealing with products where loss is an issue, wire mesh will greatly reduce your costs. Simple fabric nets are easy to cut – just about any pocket knife can make short work of them. Whether you’re concerned about external thieves, or internal workers, either could easily gain access to a product covered in a net. But heavy-gauge tight-woven metal meshwork? Forget it. Someone would need a cutting torch, at the least, to get in there – which would be a very time-consuming process, and one which would probably damage the goods. You get a far better level of product security with metal wire mesh. Since 1948, we’ve been one of America’s biggest suppliers of wire and metal meshwork. No matter your needs, contact us to find the perfect solution.